Chris Kelly is a comedy guy, but that’s not all there is to the newly minted feature film writer and director. The longtime “SNL” writer (he first joined the show in 2011 after three attempts) has crafted some of the sketch comedy show’s best bits — most recently, he helped write this winter’s smash hit Adele sketch —and he’s even penned a pair of “Broad City” episodes, but for his first film, Kelly went a bit more serious. 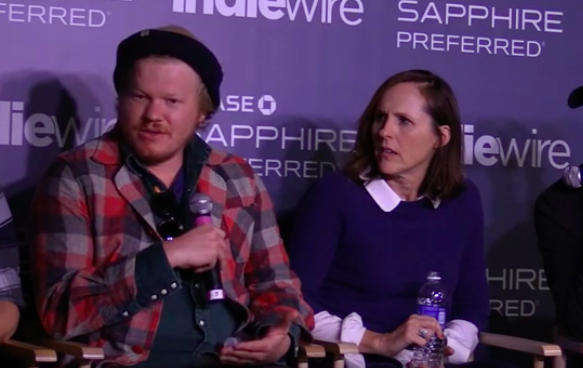 In “Other People,” which opened Sundance as part of their Day One premieres, Kelly adapts his own life to the big screen, and the feature sees Jesse Plemons playing a version of Kelly (in the film, he’s known as David, but Kelly is fiercely honest about how much he pulled from his own life for the film) who is dealing with the impending death of his mother (played, incidentally, by “SNL” alum Molly Shannon). The film blends fact and fiction, humor and drama with some very moving (and funny! it’s still funny!) results. For Kelly, it might just have been the best way to write through his own pain and make something better in the process. How did you find out you got into Sundance? when we found out we got to open [the festival], I felt embarrassed. You’re a full-time writer on “Saturday Night Live” and you’ve done work on “Broad City.” How did you find the time to make your first feature? where the comedy comes from sadness. Did you want to subvert the kind of expectations that come with being an “SNL” writer for this film? are no jokes there, folks. You do open the film with Molly Shannon’s character dying, so it’s obvious from the get-go that there is going to be some tough stuff here. what do you do until the end? personal story for you. How soon after your mother passed away did you start writing this? You assembled a pretty great cast for this. How did you snag Molly Shannon? you got a lot of your sense of humor from your mom? he’s like, “That’s a good story.” My mom was a storyteller and kind of a smartass. sisters think about the film? for them, but in a good way. You had to miss “Saturday Night Live” this week to be here. That must have been very weird. I always kind of wish that the credits included who wrote which sketches. Funny or Die for a couple months. had just moved to LA to work for Funny or Die and bought a car and then I got it. “Other People” premiered last week at the Sundance Film Festival. It is currently seeking distribution.